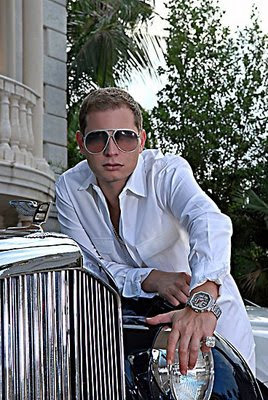 Scott Storch is BIG trouble! Storch, noted for producing hits for everyone from Beyonce to 50 Cent, was arrested Friday and charged with Grand Theft Auto in Miami after failing to comply with specified terms on a leased 2004 Bentley GT. According to published reports, Storch was to return the vehicle last March (2008) but failed to do so and thus the owners of the vehicle pressed charges. At press time, sources say the leaseholding company claims they lost roughly $65,000 based on Storch’s failure to comply. Storch is free on bond. The once hitmaking producer has continuously been in the news in recent years due to financial woes which have included the foreclosure of his $10 million mansion and failure to pay child support.